France played an important role during World War I. This devastating war is also referred to as the Great War; until World War I no other war had incurred as many lost. 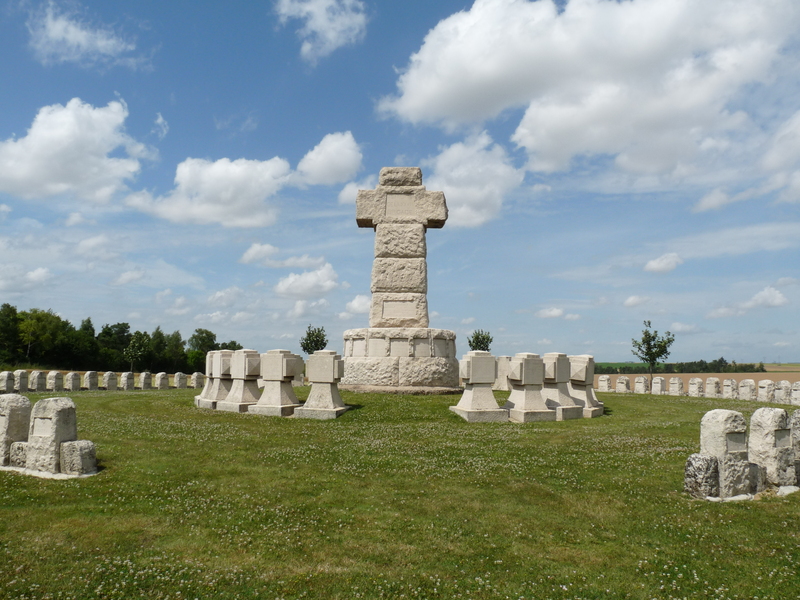 The horrors of war should never be forgotten and the Champagne Ardenne region that suffered so much from World War I has monuments, museums, historical sites to help remember the past and those who died. Today this beautiful region of France is filled with vineyards and small villages. While visiting it may be difficult to think of what the area was like in the midst of war a century earlier. However, several major French battles took place in the Champagne Ardenne region. Today there are numerous sites dedicated to honoring those who suffered and died. Many soldieries were never identified. These sites honor those who died and also help remind younger generations of the horrors of war. Even war can have a connection to wine and grapes. The Mémorial National des Batailles de La Marne was built by Marechal Foch, a French marshal who helped negotiate a peace settlement. 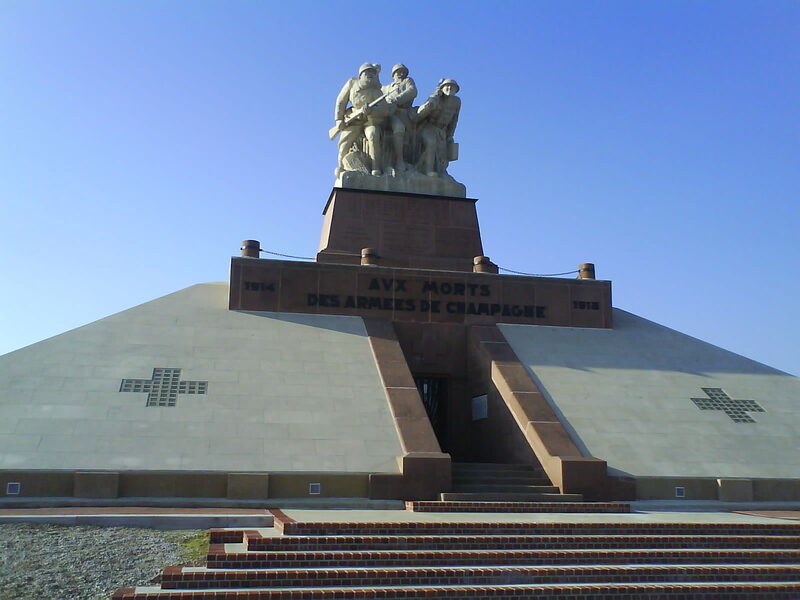 The chapel was built on the symbolic site where German troops crossed Marne in 1914 and 1918. It is here that the remains of 1,500 unnamed soldiers are buried in an ossuary. The La Vallée du Camp Moreau, a rest camp located at Vienne-le-Chateau, has been restored. Tourists are offered a scenario of what daily life was like for the soldiers. Visitors have the opportunity to see huts, a cinema, washhouse, railway, underground galleries, and a delousing station. La Main de Massiges is a battlefield located near the village of Massiges. It is estimated that 25,000 French soldiers and many German solders were killed, wounded or missing. The association for “The Hand of Massiges” was founded in 2008 to preserve the area. The shape of the land reminds one of a hand with the fingers extended. A portion of the battlefield was restored and travelers will see trenches, shelters, dugouts and a first aid station. Le Main de Massiges offers an excellent website. Reims the Monument de Navarin is a large monument topped with three stone statues depicting soldiers who fought during the Great War. The monument honors the many troops who fought including: 93 Infantry Divisions, 8 cavalry, and an air division. Several foreign groups are included. Located near Chalons en Champagne, the Monument de la 1ère victoire de la Marne, overlooks Marais de Saint-Gond marshes. The monument is located where the invading army was stopped. The village added a petite museum in an old village school to illustrate this French victory. Fort Museum Pompelle, about five kilometers from Reims, was originally built in 1883 as part of the defense of Reims. The fort was decommissioned in 1913, thus Germany was able to take the fort without a fight in early September 1914. Three weeks later the French were able to retake the fort. Visitors to Fort Museum Pompelle will view numerous uniforms, weapons and everyday utensils. This memorial is northwest of Reims. The monument is a bridge that connects the city of Fismes’ neighborhoods on the right bank and left bank. The bridge also commemorates the American troops who liberated the city in 1918 and in 1945. Le Bois de la Gruerie is located east of Reims. The woods are the location of remnants from 1915. 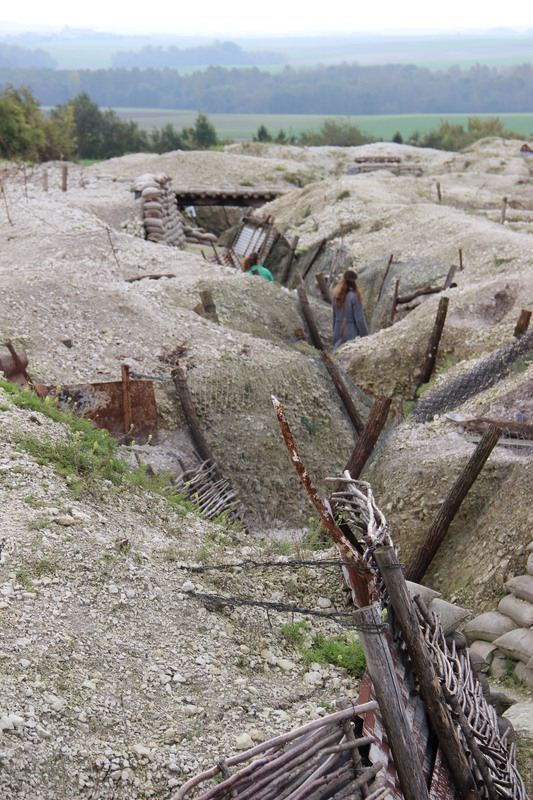 In addition to the remnants, visitors view trench remains, and the German Moreau Valley rest camp. 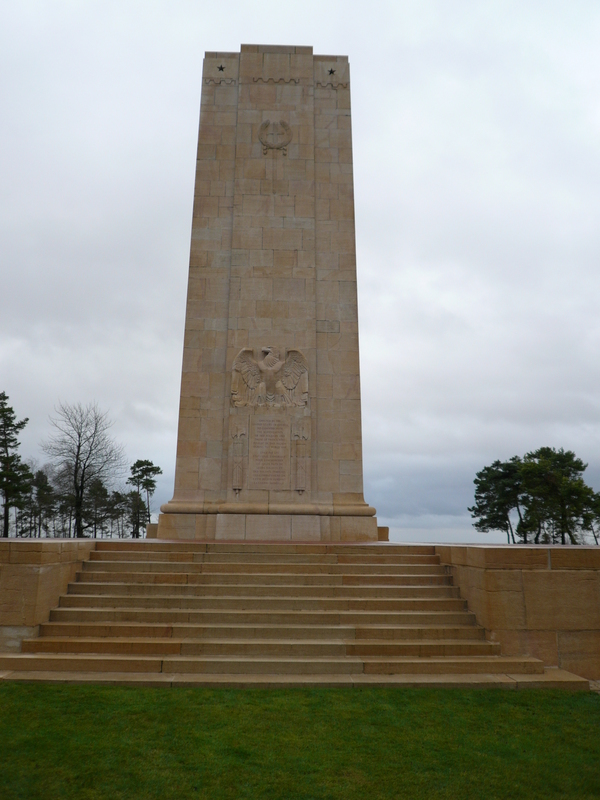 The Monument Américain du Blanc Mont is located slightly northeast of Reims. A German outlook post was here. It is believed that 6,000 United States soldiers died here. During the 1920s, the United States government erected a monument in honor of those who fought here. Visitors can see trench remains and the battlefield. When you plan your visit to the Champagne region of France, pay your respects to the many who died while protecting others. Details are located online at La Marne 14-18.